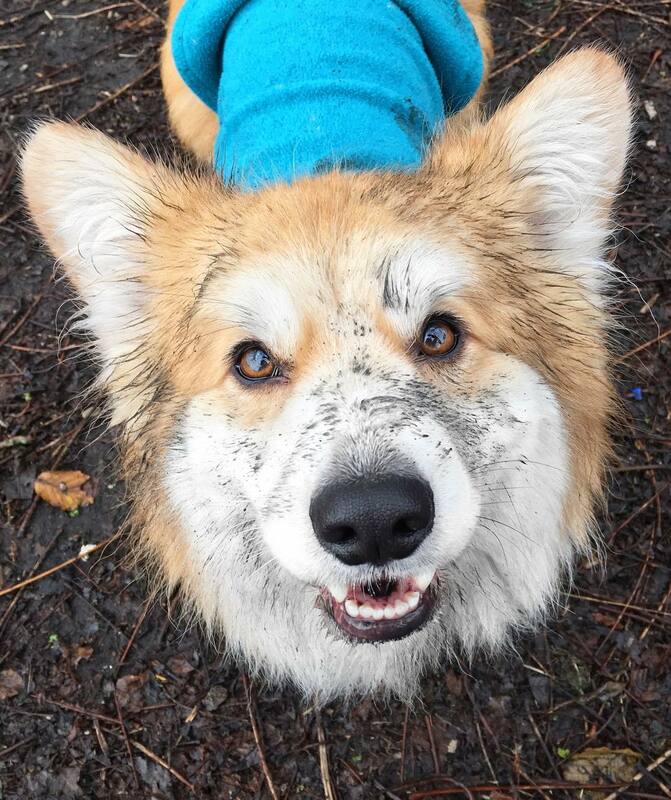 Meet the dogs who are absolutely killing it on social media. If you scroll through my Instagram feed, you’ll notice that it’s about 85% dogs. I’m totally obsessed. Incidentally, this has been my favourite article of all time – mostly because I made fourteen new doggo friends in the process and got invited on a walk with three hundred sausage dogs. 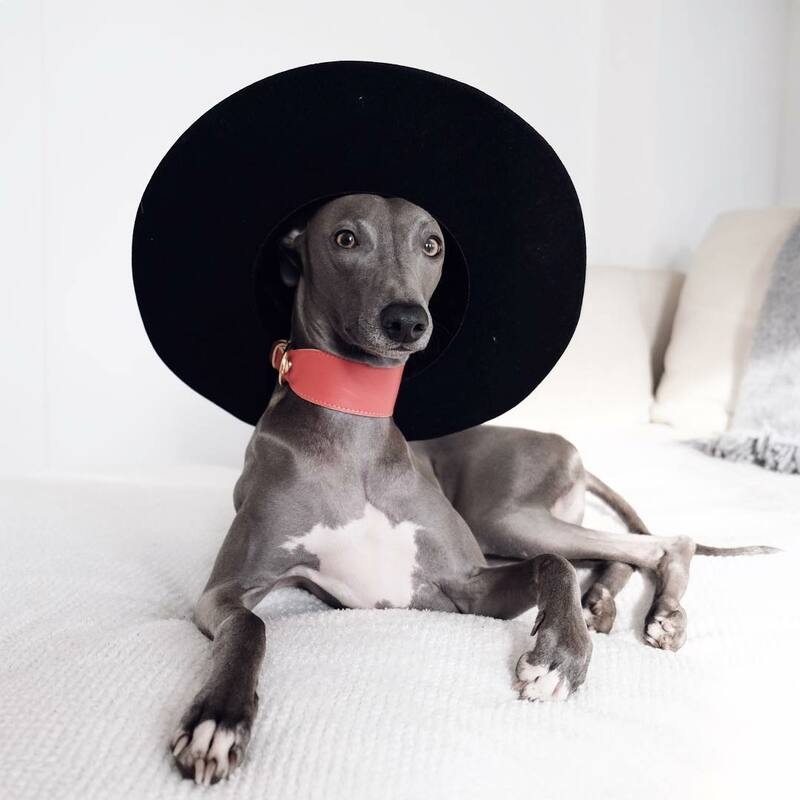 Each and every one of these dogs is worthy of a follow and, needless to say, they’re all doing the Instagram thing significantly better than any of us. Bun is a gorgeous little sausage whose human takes the loveliest photos. Expect snaps in various handsome outfits and lots of adorable throwbacks to smol, puppy-sized Bun. 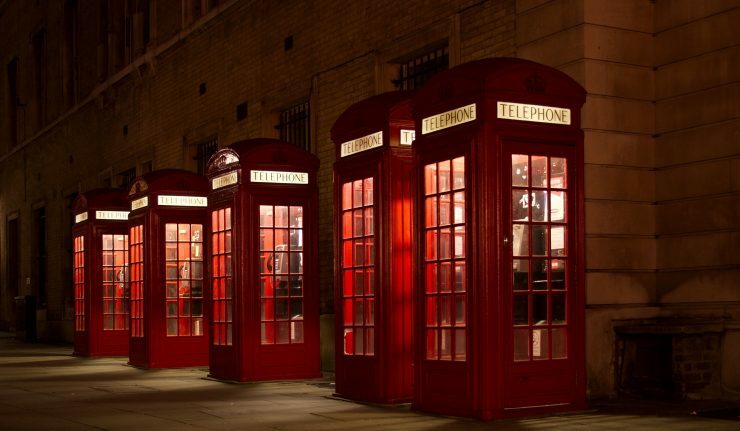 Favourite London walk? Bun loves to walk around the Walthamstow Marshes, through to a park in Clapton, as there’s a lot of space to zoom around. This is usually followed by a lovely walk along the canal. Favourite dog-friendly spot? A walk by the canal is often paired with a trip to the little cafe next to the rowing club, for hot chocolates and donuts (not for pups, unfortunately). It’s a great place to watch the world go by, especially on a sunny day! 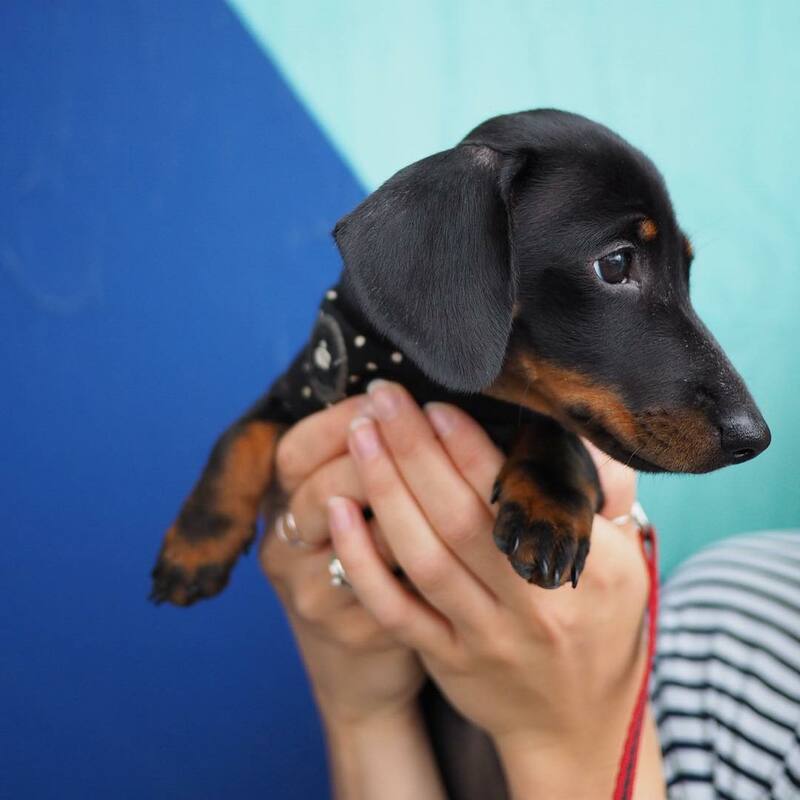 Walthamstow is generally pretty great for pups, and there are lots of colourful walls to pose it front of that are perfect for the gram. 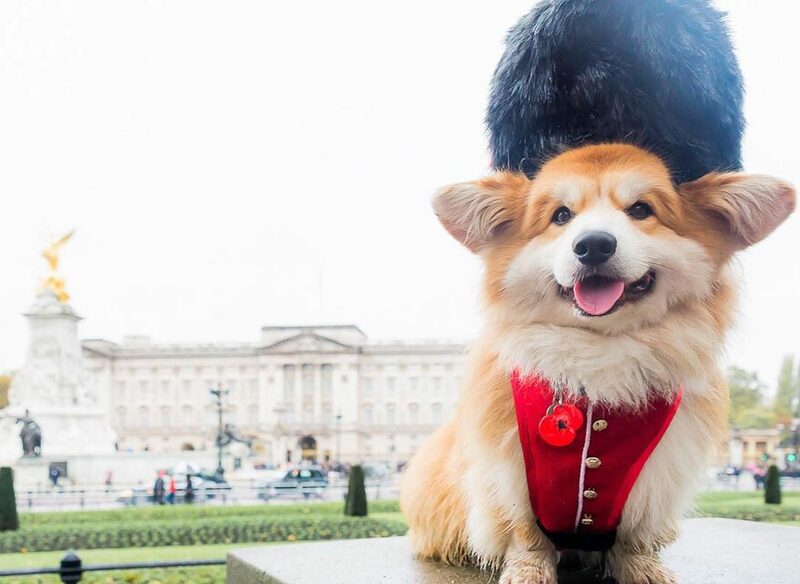 Winston is probably the most photogenic corgi you’ll find on Instagram. It may be something to do with his lovely human Rachel (@racheloates) being a photographer, but we oughtn’t let that take away from his blatant cuteness. 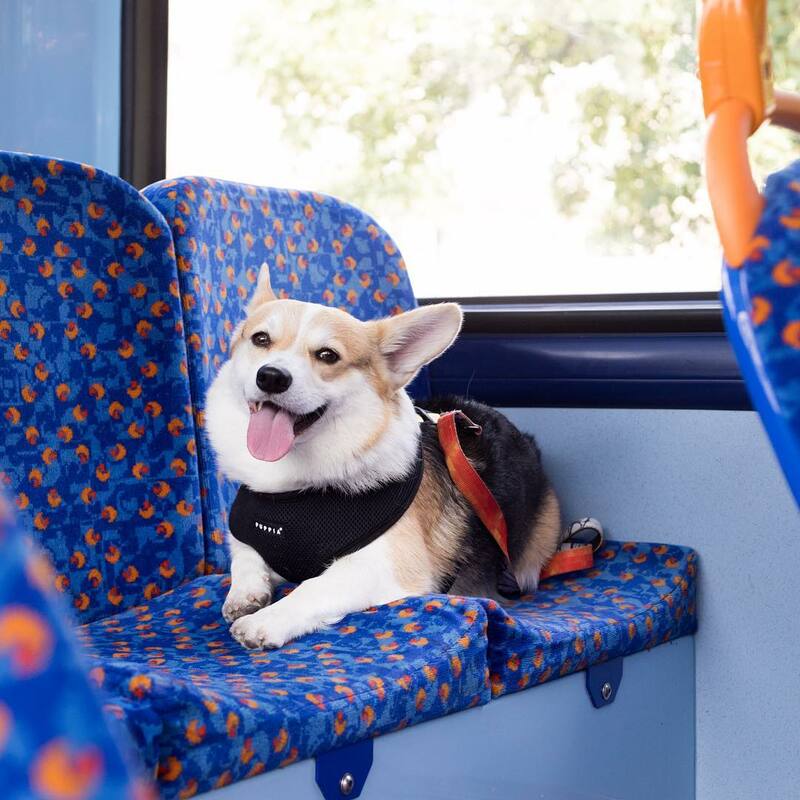 Follow Winny to keep up with his adventures on public transport, and his general oh-my-god-you’re-so-adorableness. Favourite London walk? 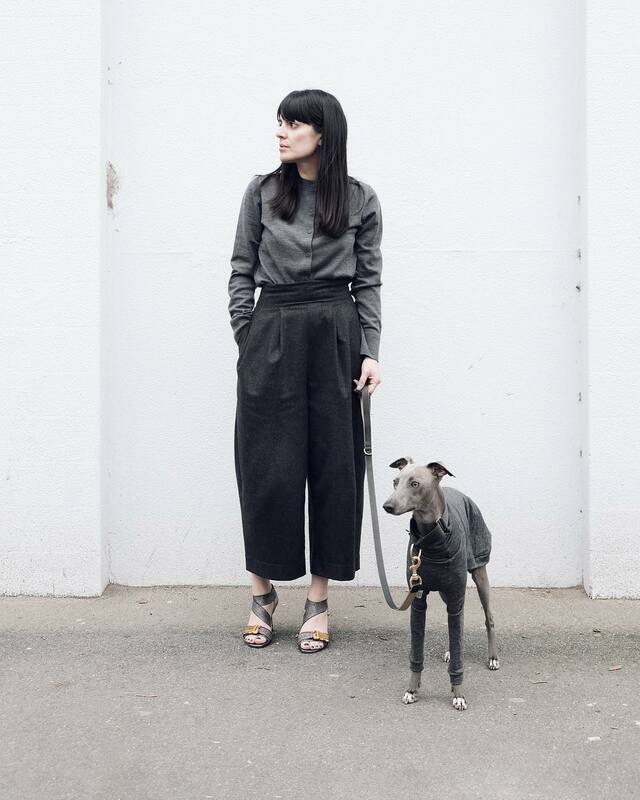 Winny has a few favourite walks, including Victoria Park for all the dog-friendly pubs and cafes, and walking along the Thames for the gorgeous views. He’s a very happy traveller so you’ll often find him on the tube on his way to explore new parks. Favourite dog-friendly spot? Paper and Cup is one of Winny and Rachel’s favourite coffee stops as the staff are super friendly. Also, Crate Brewery in Hackney Wick is a great place for pizza – and there’s some great walking spots nearby, too! Lloyd is the biggest fashionista on the web. He has a better wardrobe than all of us, and he ain’t afraid to flaunt it. He’s particularly fond of turtle necks and chunky collars, and he’s really good at matching his outfits to his mum’s. Favourite London walk? Anywhere in his home town of Hackney. Favourite dog-friendly spot? Lagom at Hackney Church Brew Co. The chef owns two whippets, and they’re always there to play with. 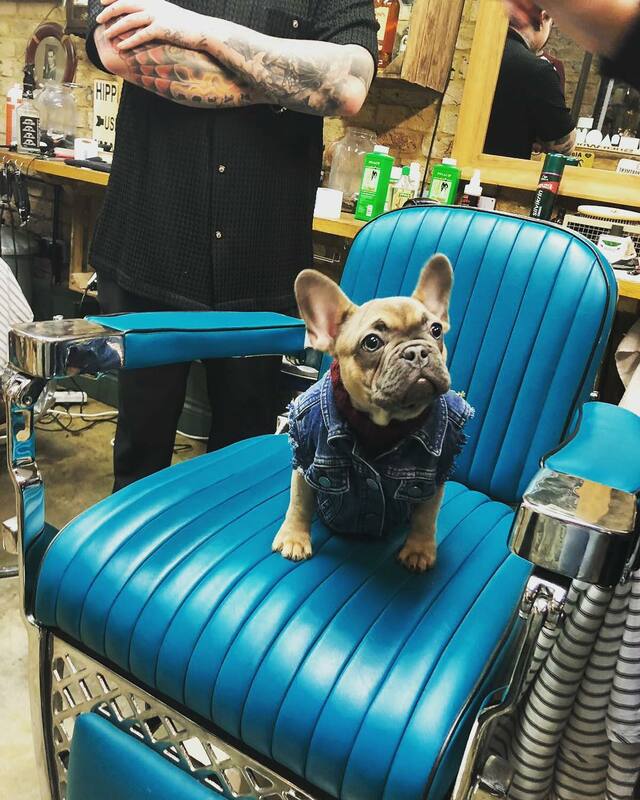 Read more about Lloyd’s favourite dog-friendly spots. 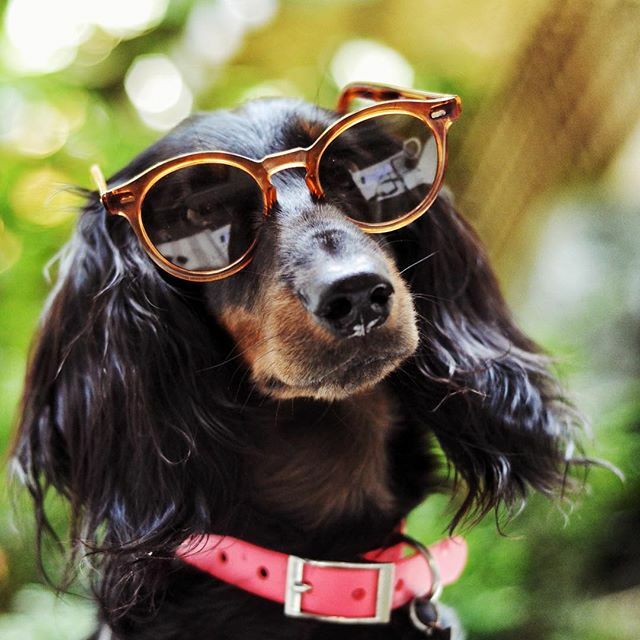 Suki lives with her two dads, Bradley and Micky, and she’s the sassiest pup on the interweb. 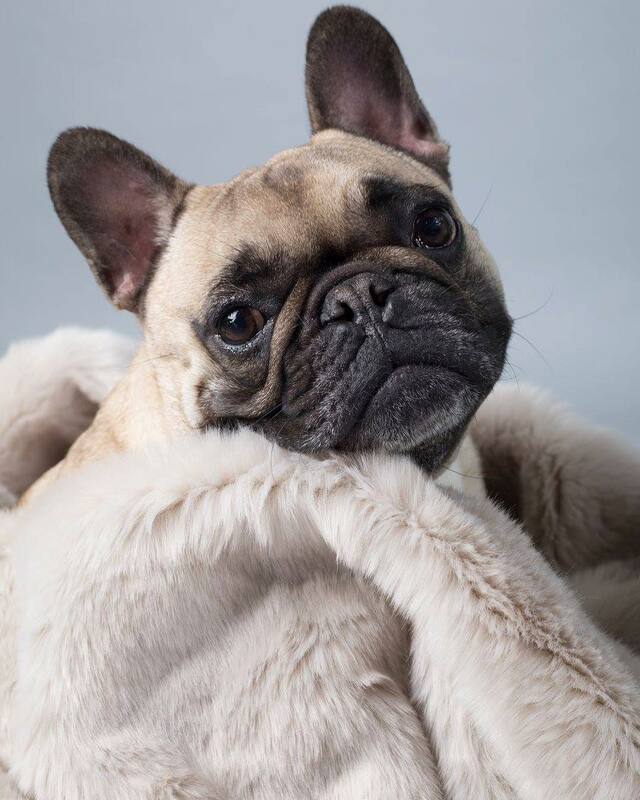 Her little tongue is always poking out while she dons some of the best doggo outfits you’ve ever seen – a firm favourite being the metallic bomber jacket with the fur hood. S.A.S.S. ? Favourite London walk? Suki’s favourite place to walk is definitely Greenwich Park. Favourite dog-friendly spot? A walk in Greenwich Park is best followed by a trip to The Mitre. 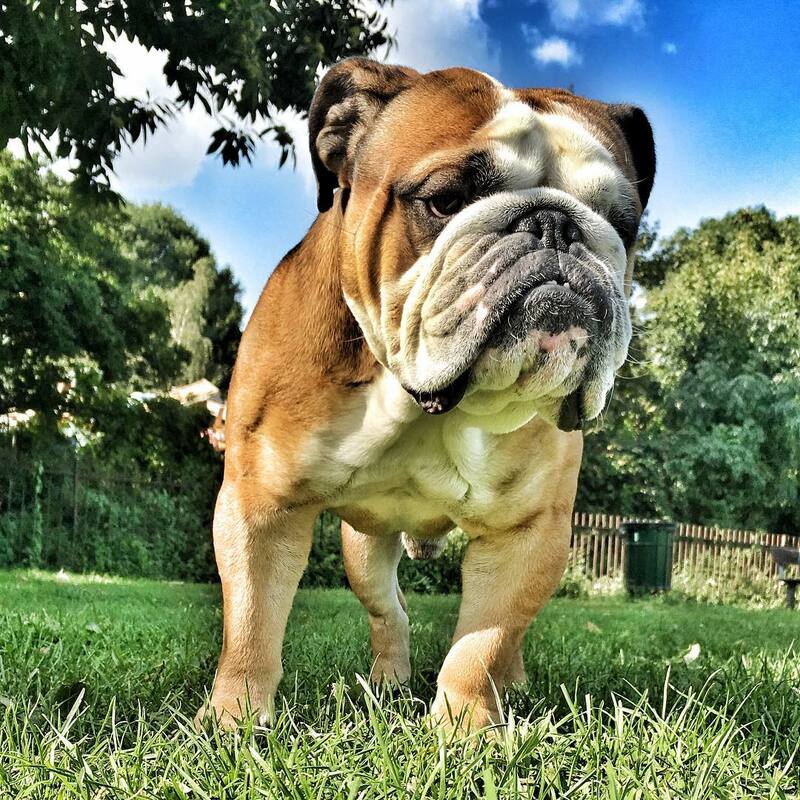 George is a bit of a big dog in the Insta-world. I mean, technically he’s pretty small, but symbolically he’s HUGE. 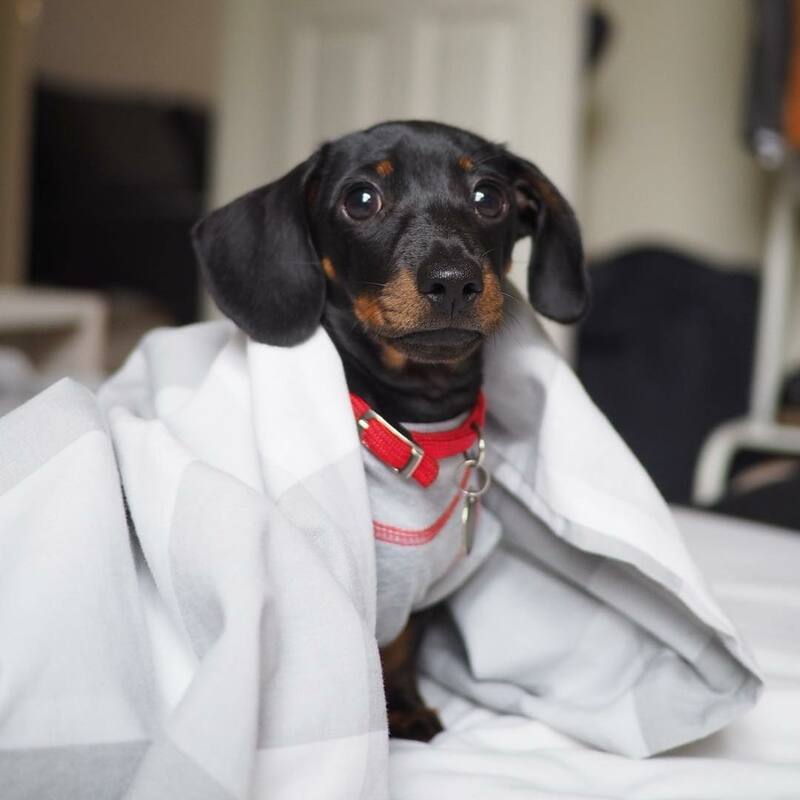 Him and his pal Mildred (@mildredthesausage) are hosting a giant sausage dog walk, and they’re expecting 200-300 dogs and their humans to congregate for a big sausage fest (much cuter than it sounds). Find out more and RSVP on the Facebook event. Favourite London walk? 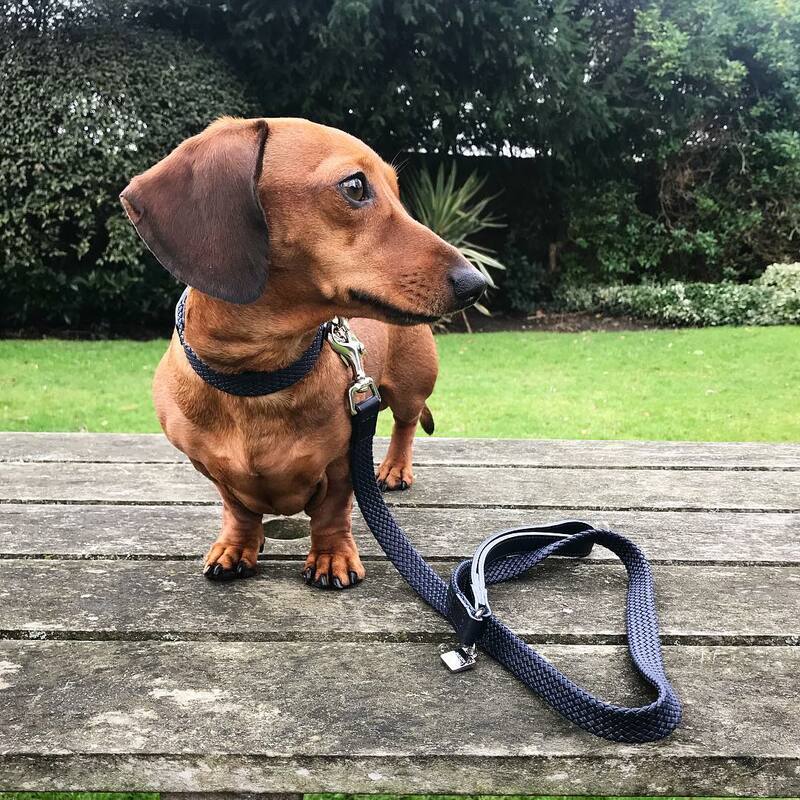 George’s favourite place to walk is Beckenham Place Park, but when he can’t be bothered to travel that far, he’s a big fan of Greenwich Park, which, funnily enough, is where #SausageWalkLondon is hosted. 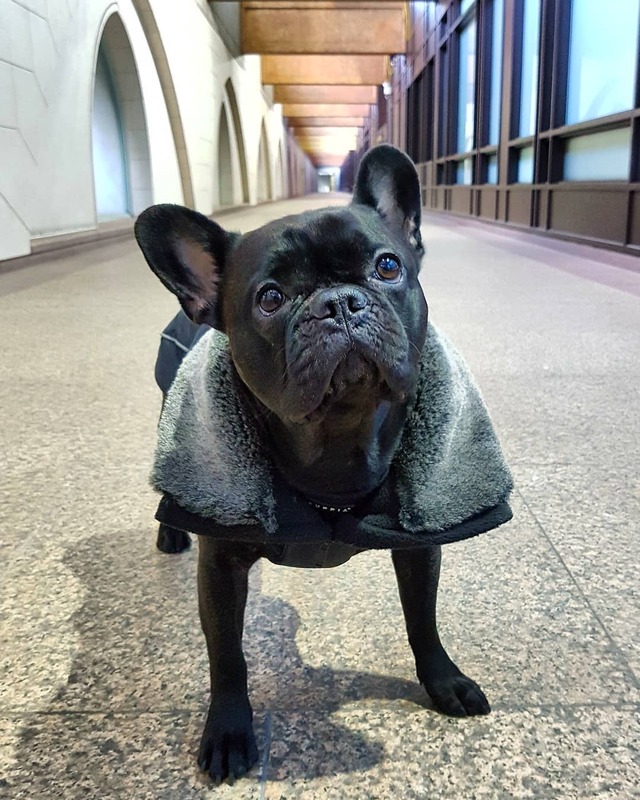 Waffles is a handsome French bulldog who loves exploring the city. He looks rather fetching (geddit?) in red and his puppy dog eyes put all others to shame. Favourite London walk? Waffles likes to walk in Hyde Park, especially along the Serpentine. He’ll otherwise be found zooming around Hampstead Heath. Favourite dog-friendly spot? 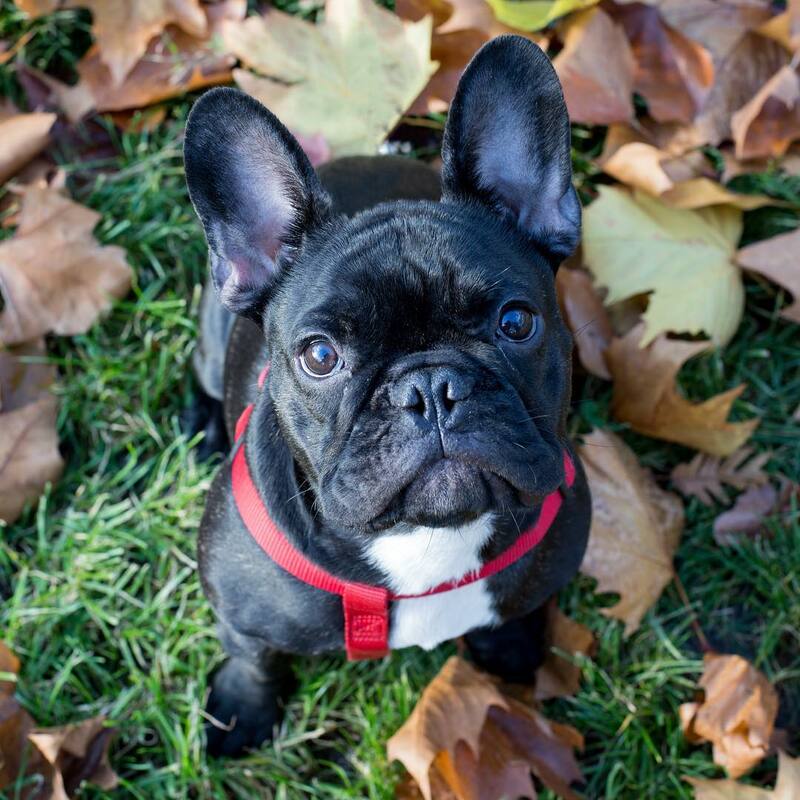 Bernardi’s in Marylebone is Waffles’ favourite restaurant – he’s been going since he was a pup! Norman is the most relatable dog on the internet. He’s a south London pup with an incredible tendency to splat on his stomach at unpredictable times. We feel ya, Norman. Favourite London walk? 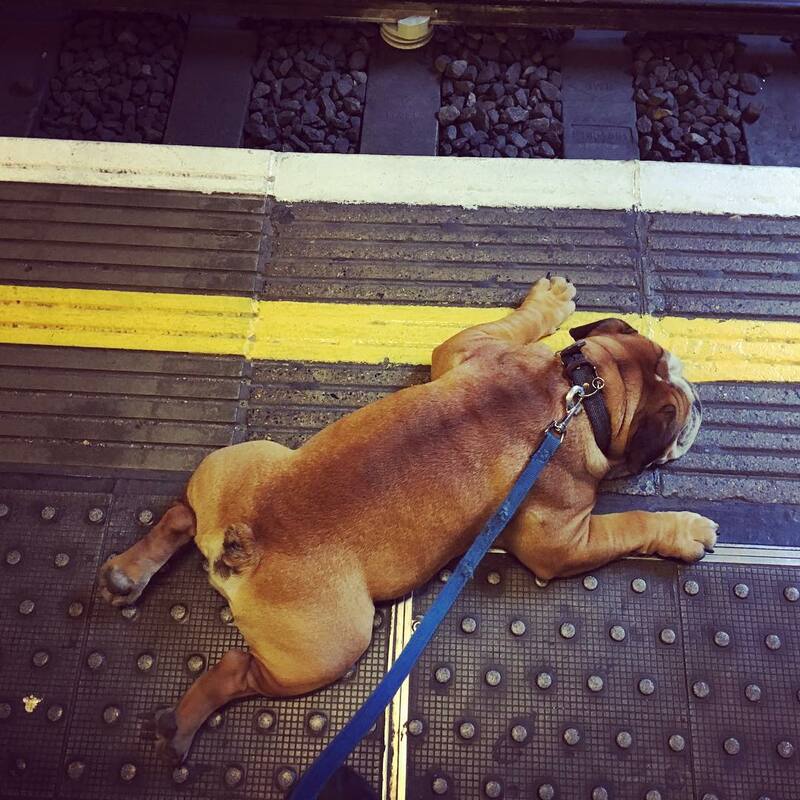 Norman loves to plod around Clapham Common and, generally, the shorter the walk the better. You’ll know if he’s had enough because he’ll pull out his signature move. Favourite dog-friendly spot? He’s a local at The Regent in Balham, but is also a big fan of the Green Monkey in Tooting Bec and Tota in Tooting Broadway. Basically anywhere with humans that will pat and scratch him, but they’re not few nor far between. 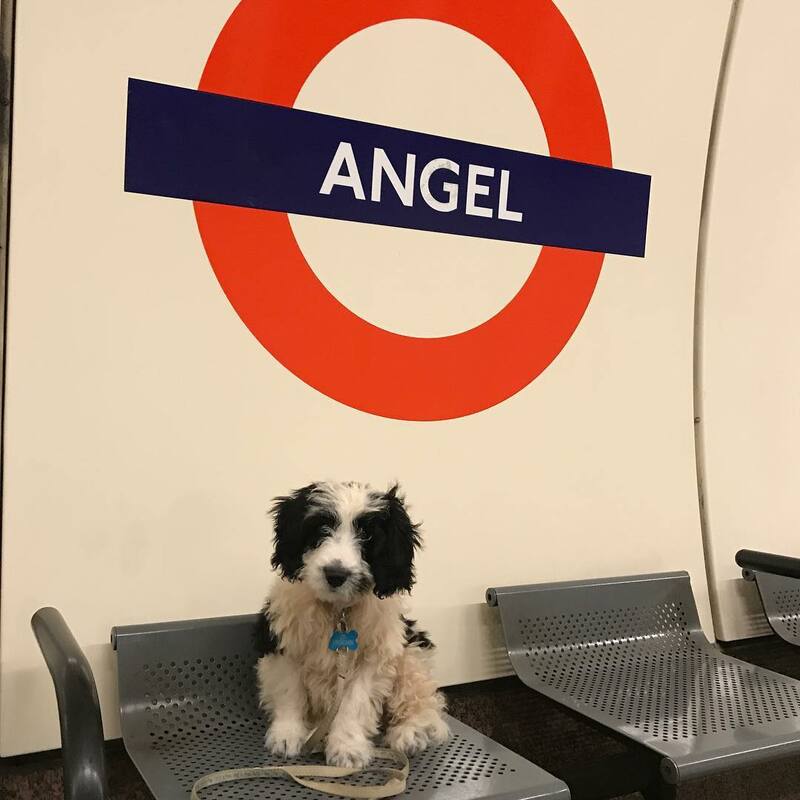 Hugo is a lovely springer poodle who can often be found posing in front of lovely London views, exploring the city, or riding the Northern line. He’s an absolute rascal but always has time for cuddles with his humans. Favourite London walk? 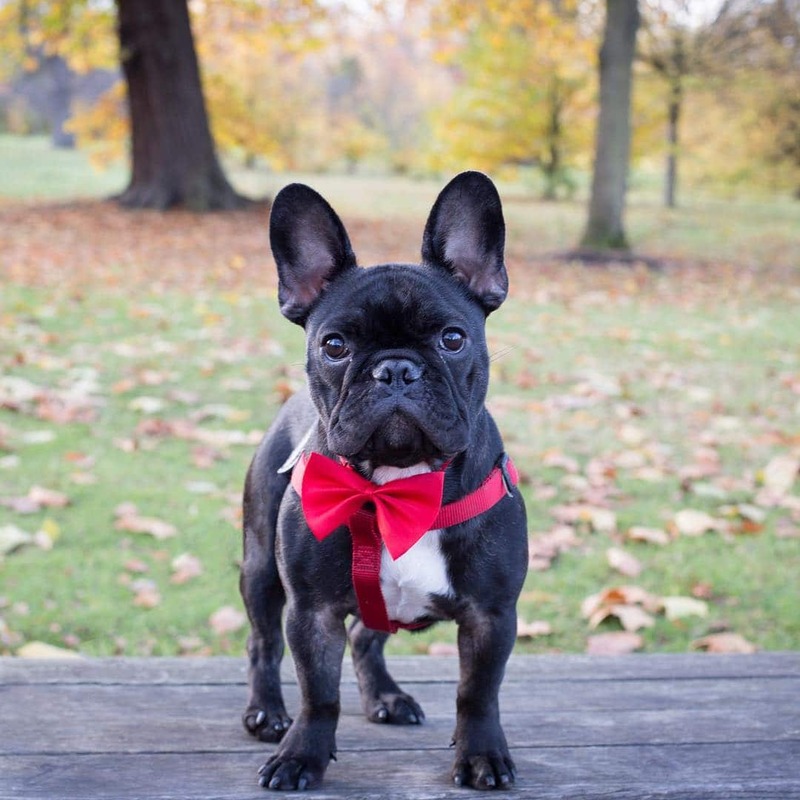 Hugo is a Greenwich local so, naturally, his favourite place to walk is Greenwich Park. It’s his little spot of sanctuary to escape the hustle and bustle of the city. 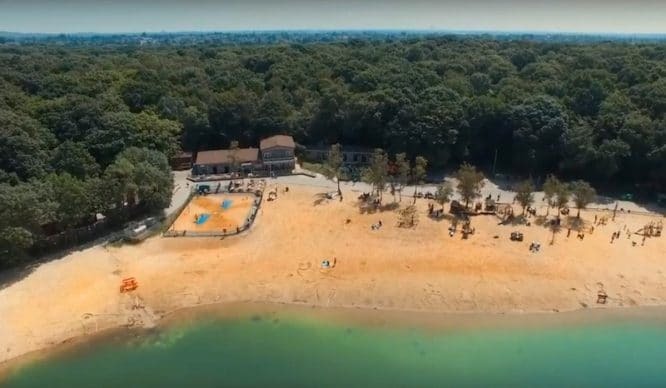 It’s also a great place to meet lots of happy, frolicking pups and their humans, as well as admire spectacular views from the top of the hill! Favourite dog-friendly spot? The Greenwich Tavern next to the park is a great place for some grub after a long walk. They give out dog treats, so it’s obviously pup there with the best! Nicknamed The Squirrel Hunter, Marley is much less fierce than his name lets on. He rocks a handsome red bandana and has a cracking winter jacket that we’re all rather jealous of. His grumpy little face is the absolute cutest, and his captions will make your day, every single day. Favourite London walk? Marley’s all time favourite place for walkies is around Kenwood House in Hampstead Heath. 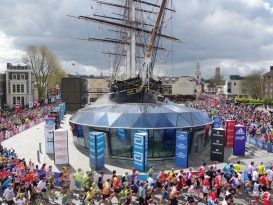 More centrally, he loves a stroll along the Southbank; starting at Borough Market and zooming past the Globe and the Tate. There’s lots to sniff and see, and it’s particularly pretty and romantic in the evening. 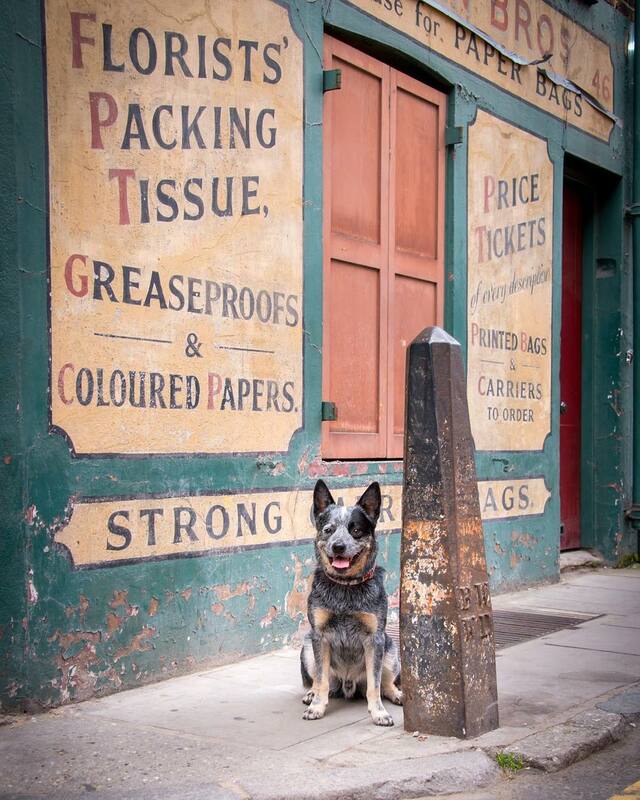 Rupert is a handsome Australian Cattle Dog, born in Lincolnshire but raised in the big city. 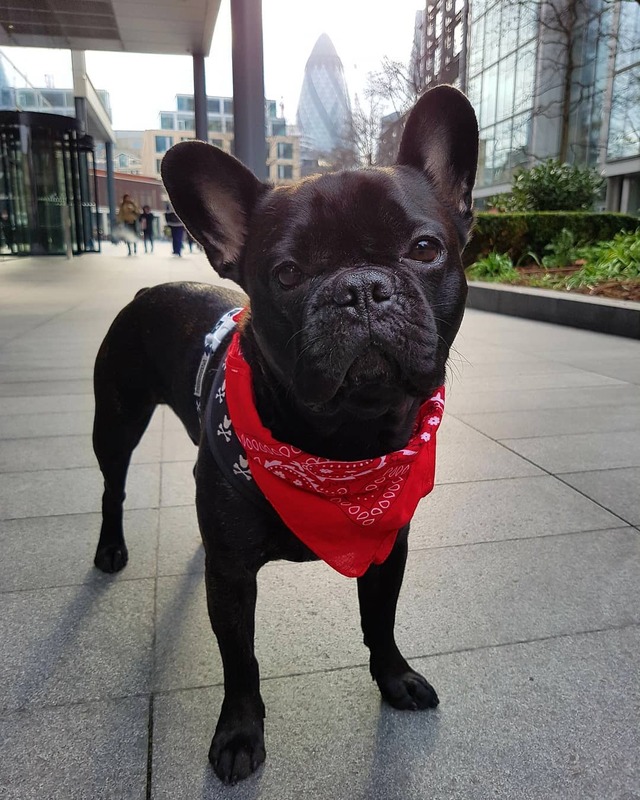 I’ve been following Rupert for a very long time and keeping up with his London adventures, and I’m pretty sure he’s explored more of the city than me. He’s visited Number 10 Downing Street, ridden in a police boat, visited the Craven Cottage football pitch, had tea in Soho House aaaand he’s walked to the top of Tower Bridge. Phewf. Favourite London walk? Rupert’s favourite activity is running along the Thames Pathway while his human John (@esslingerphoto) rides his mountain bike. 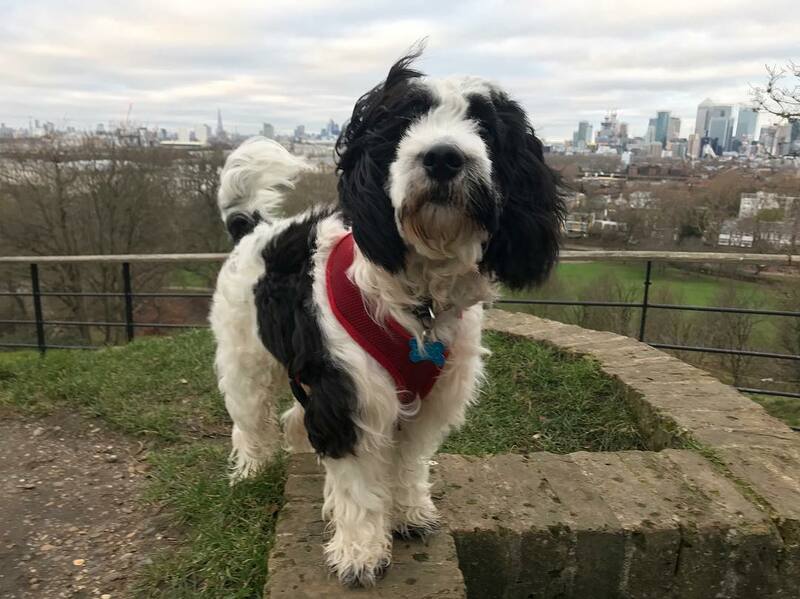 He loves exploring everywhere from Battersea Power Station to Kew Gardens, as well as his favourite parks – Hyde, Bishops and Richmond. Favourite dog-friendly spot? Like all of us, he loves a good trip to the pub, and his favourites are The Blackfriar, The Punch Tavern and The Viaduct Tavern. You may also find him at The Blue Anchor or The Dove in Hammersmith, both along the Thames. 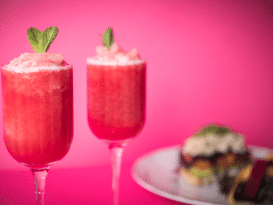 As for dinner, he often visits Café Plum and Antipode, both also in Hammersmith. Chunki is, well, he’s a little bit chunky. 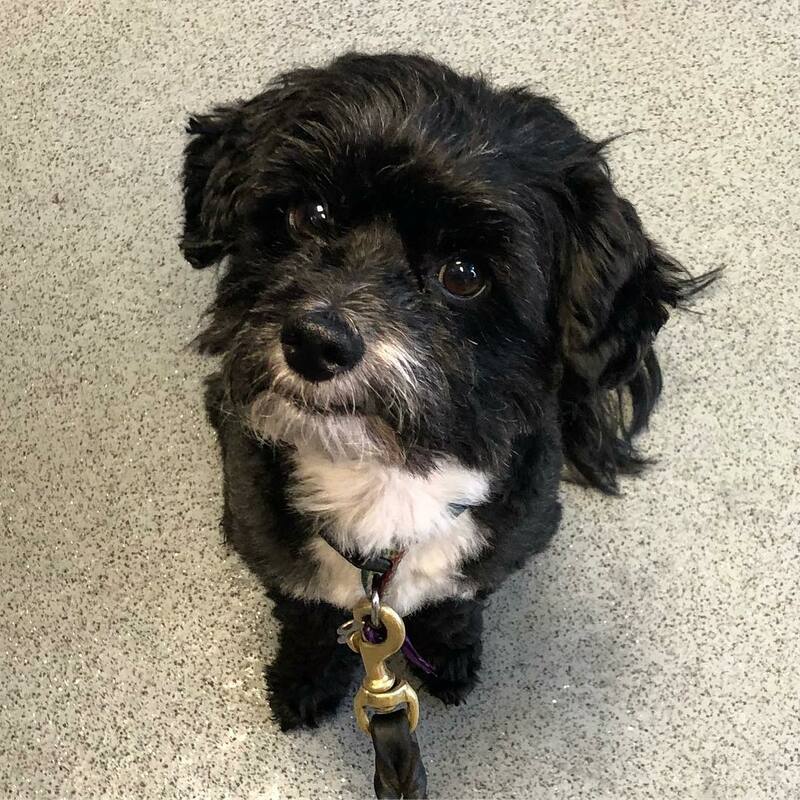 And he also sort of resembles a toad – but a really cute, playful toad, who you’d definitely let snuggle up in bed with you on a Sunday morning. He’s sported a few cracking outfits in his time, and more than a couple of spectacular bowties. Favourite London walk? Chunki’s favourite place to walk is along the Serpentine in Hyde Park. 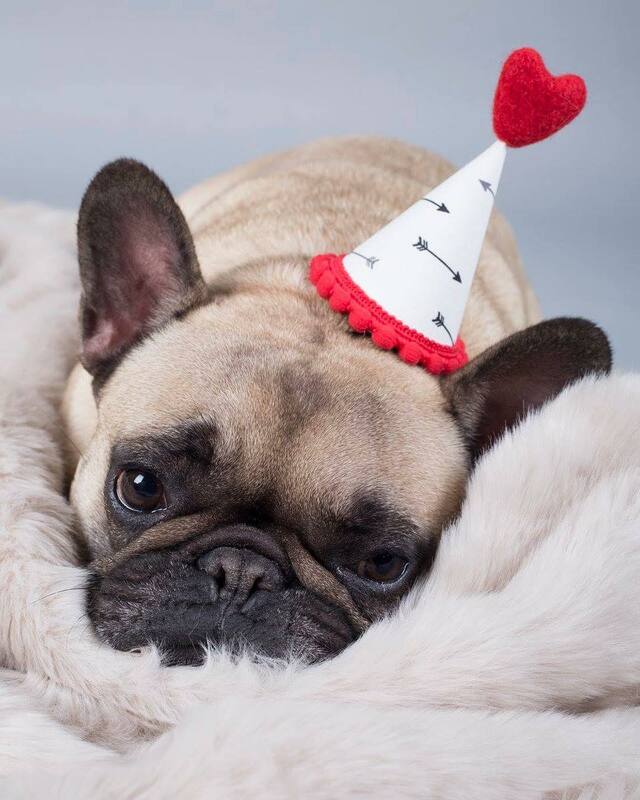 Marcel is the Queen of England’s favourite breed and boy, don’t he know it! 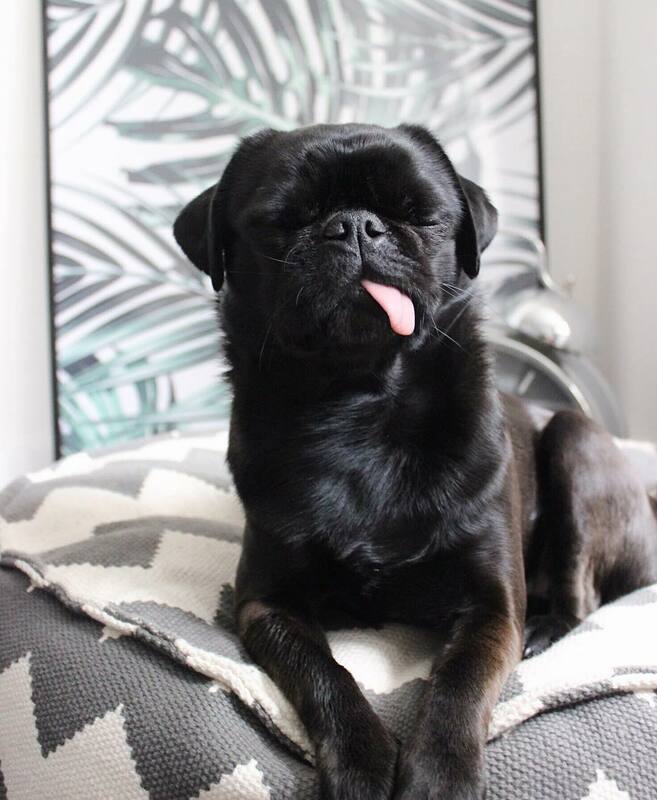 He’s a cheeky chappy who often can’t keep his eyes open, but that’s now his signature Insta-pose. Favourite London walk? 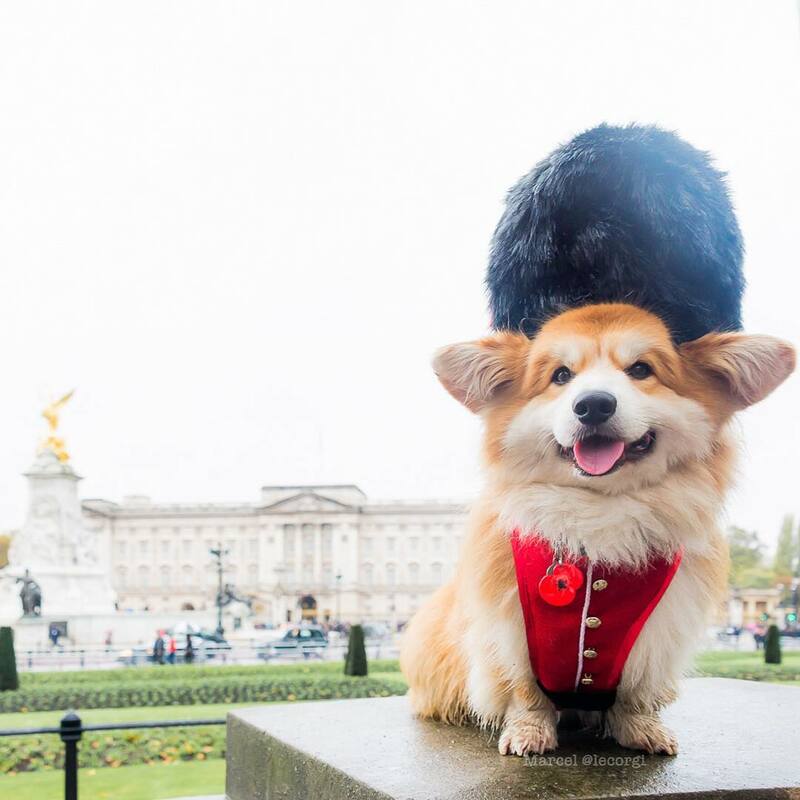 One of Marcel’s favourite walks is along the Thames Path, but he also loves Greenwich Park, where he’ll often meet other corgis. Favourite dog-friendly spots? 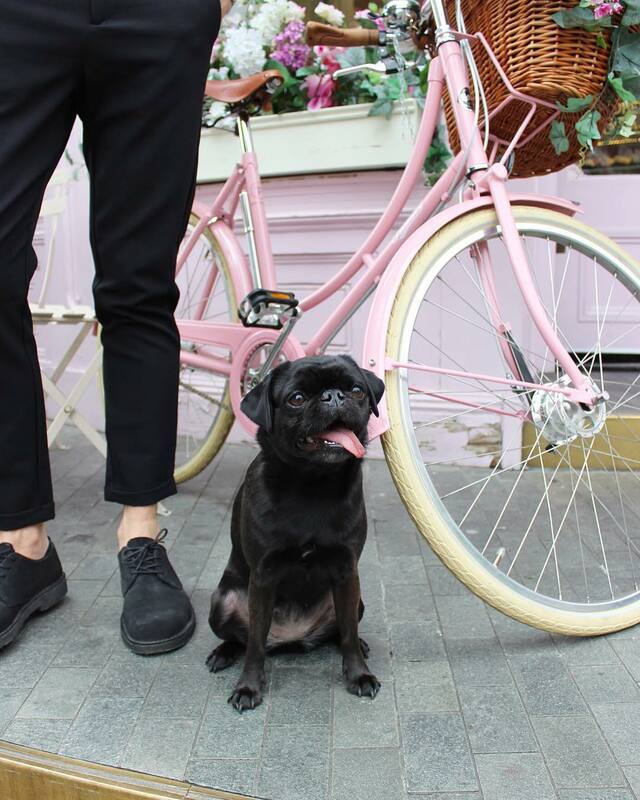 Marcel and his humans are big fans of Sketch and Mercato Metropolitano, and they also just discovered Duck+Rice in Soho, which has amazing dim sum and appears to be the only Chinese Restaurant that welcomes dogs. Stewie is somewhat of a canine celebrity. 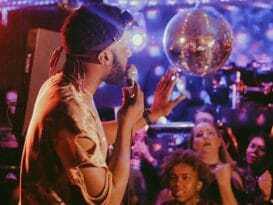 He’s posed with the likes of Made In Chelsea’s Proudlock and Little Mix’s Perrie Edwards, and has had his big-time radio moment with Dev on Radio 1. 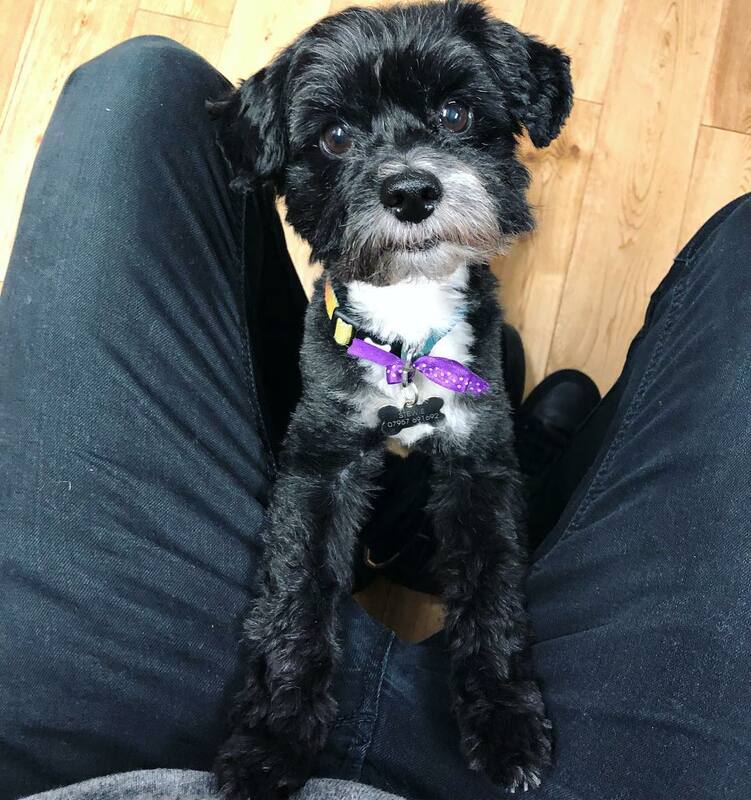 He’s a cheeky little Yorkiepoo with masses of sass. Favourite London walk? Without a doubt, Greenwich Park. Kobe can often be found in washing machines, piles of clothes, or styling various rock’n’roll outfits. 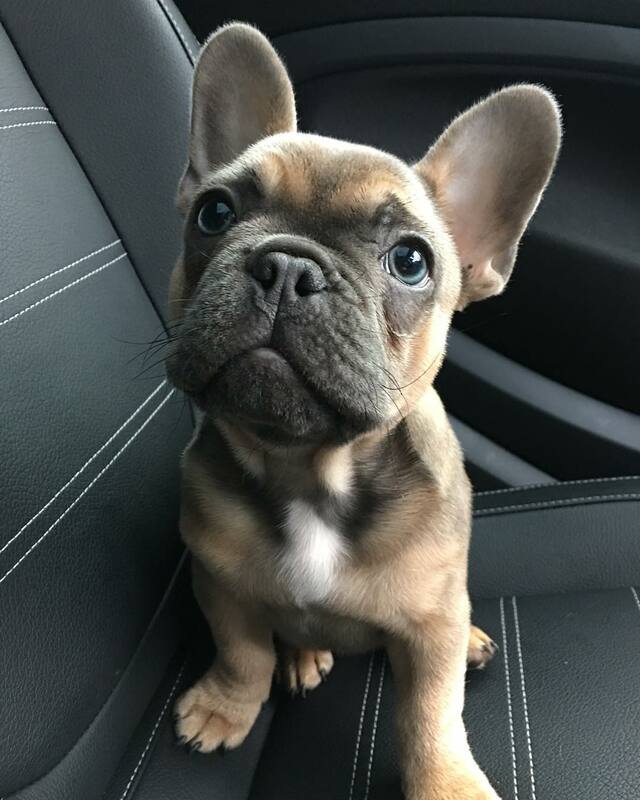 His arch-nemesis is a white, china Frenchie that lives in his living room, and his dreamy blue eyes will put you in a trance. Favourite London walk? The beautiful Forty Hall in Enfield. Tuna and Marlowe are two sassy London ladies who love playing dress up and are in constant competition with each other over who’s the biggest poser. 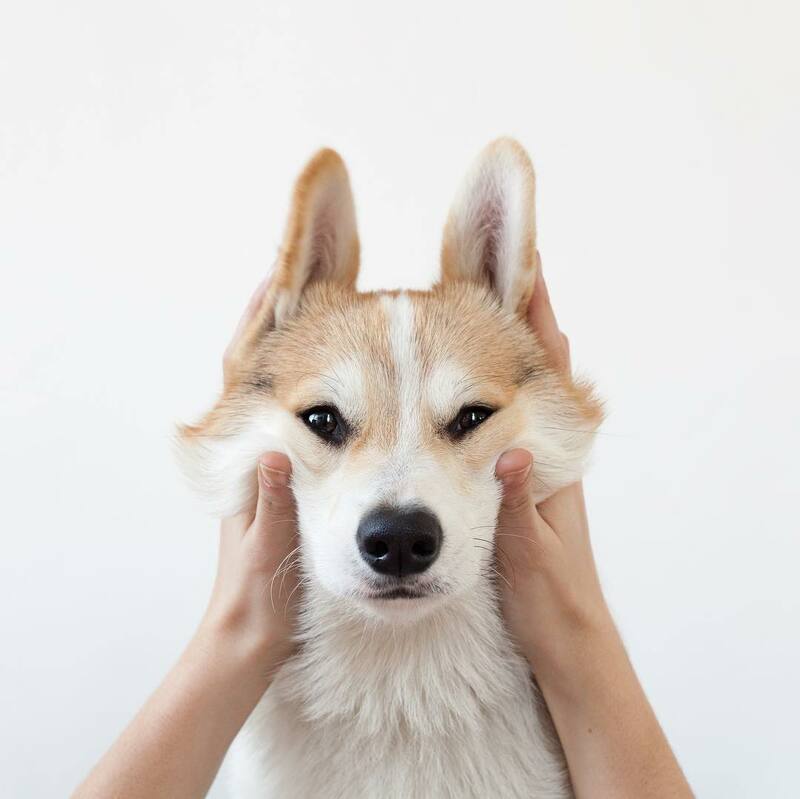 Their human (@elinebbraathen) takes some beautiful photos, so it’s a feed that’s definitely worth a follow. Favourite London walk? 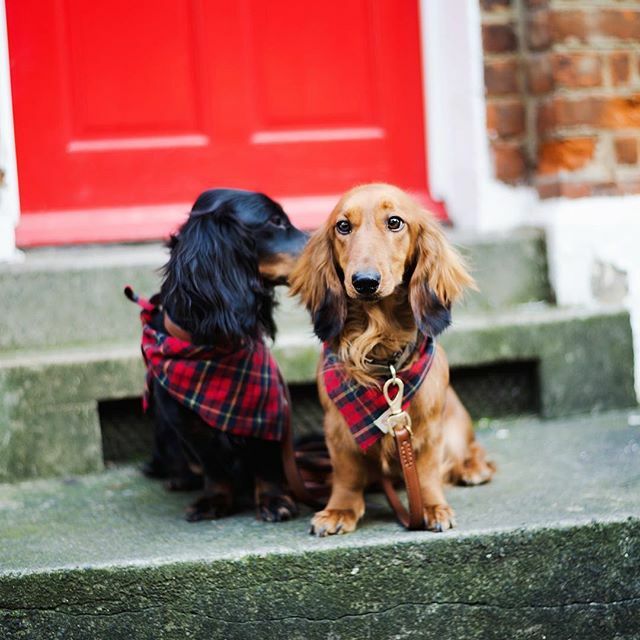 Holland Park and Kensington Gardens are Tuna and Marlowe’s favourites if they’re off the lead, but they also love to wander the streets of Chelsea, discovering hidden gardens and cute mews streets. It’s also nice to walk along the river and play on the “beach” by the OXO tower – they like to dip their paws in the Thames if it’s not too cold. 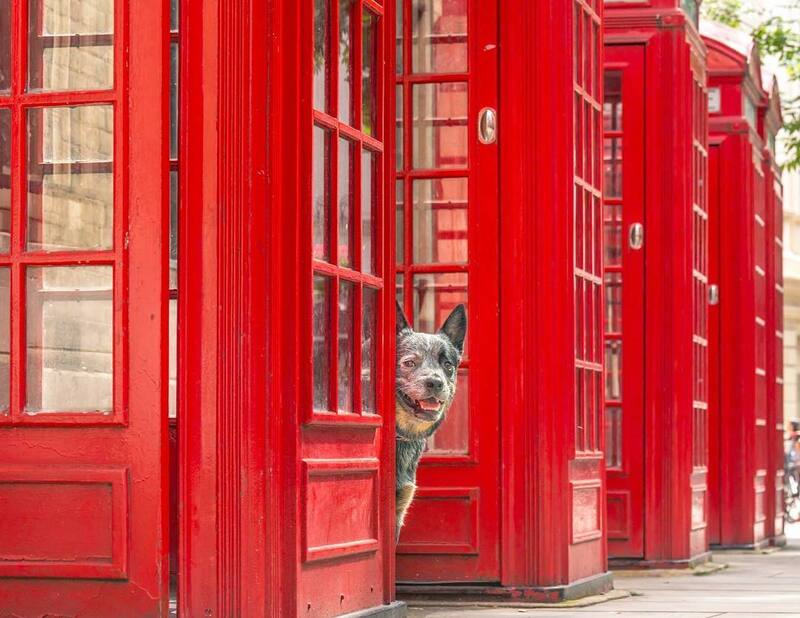 Favourite dog-friendly spots? Colbert on Sloane Square, Granger and Co. on Pavilion Road, or The Admiral Codrington (who make a mean Sunday roast). The answers to these questions have all been adapted from conversations I’ve had over Instagram. Big thanks to all the lovely humans who took the time to talk to me, and for cheering us all up with pictures of your gorgeous doggos. Keep it pup! Can’t get enough? ? 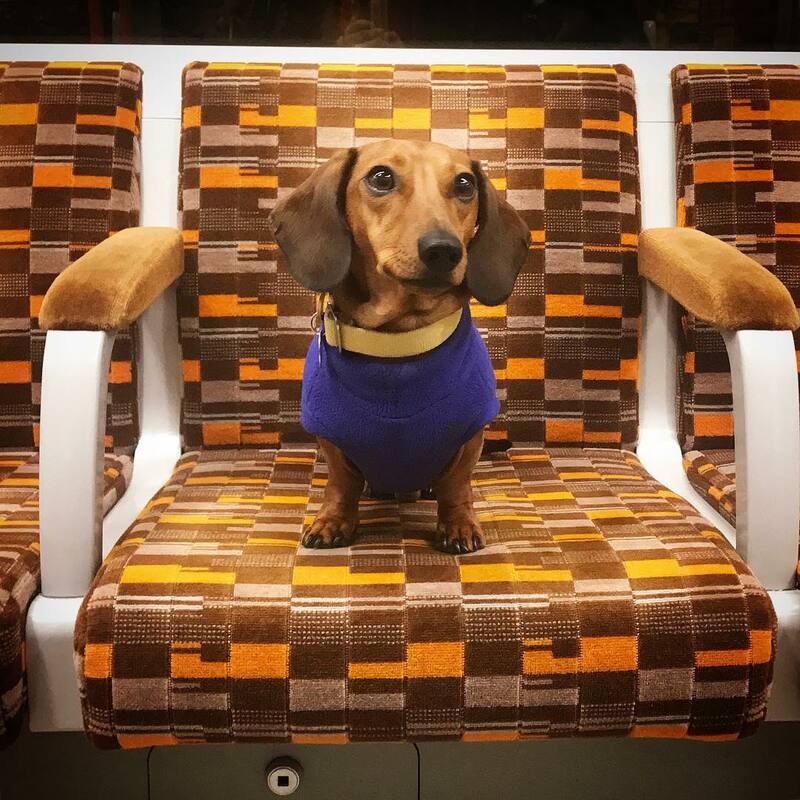 Here are 34 pictures of dogs on the underground that will (continue to) brighten your day.